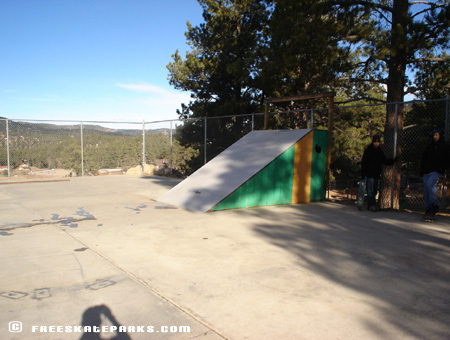 Launch Ramp, Funbox W/ Rail and Manual Pad. 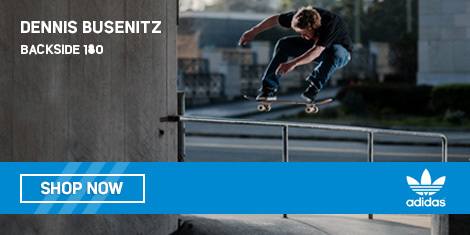 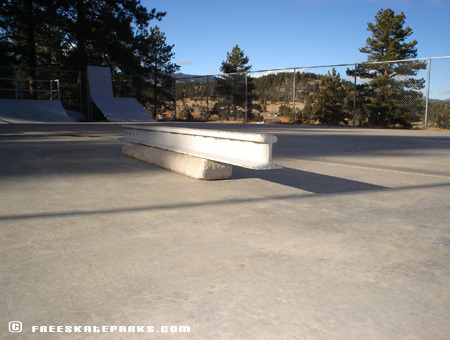 Cali Kid with a Smith Grind. 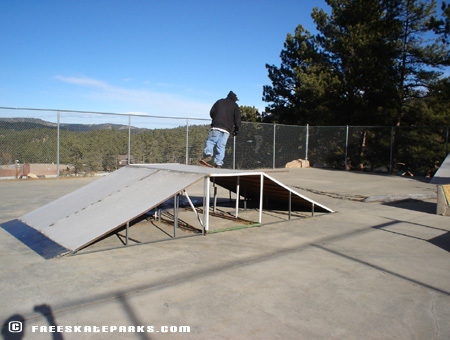 Pyramid in the center of park. 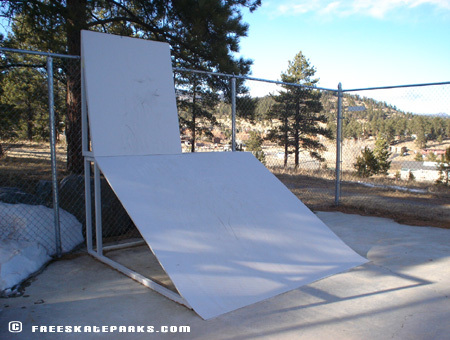 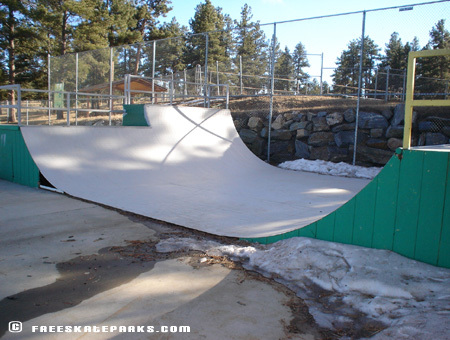 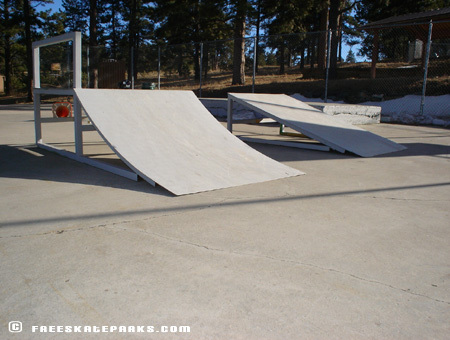 The Evergreen Skatepark features a 4ft/6ft half-pipe, three 1/4 pipes, a wall-ride, funbox with rail, a roll-in, a pyramid and a concrete manual pad. 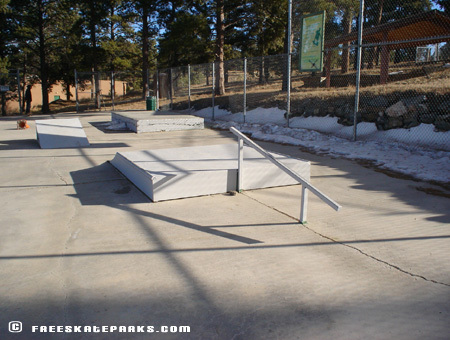 The skatepark is located right behind the Evergreen High School at the Evergreen Recreation Center. 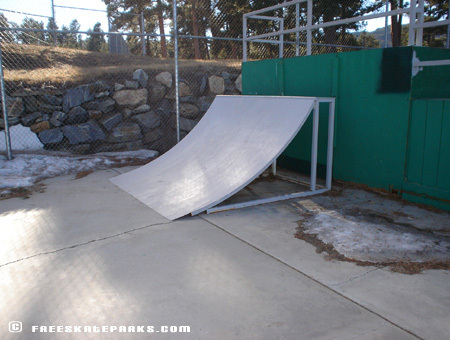 Rules are posted inside skatepark.